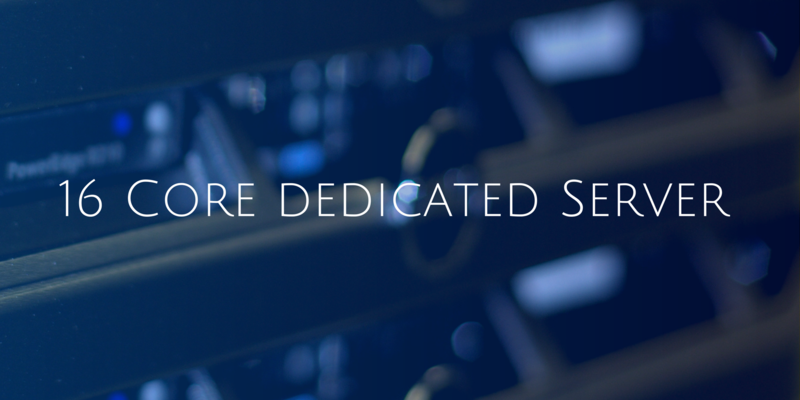 Announcing Our New 16 Core Dedicated Server - From Only £150.00 per month! Could you benefit from having a new high performance server? Perhaps you already have a server that you’d like to upgrade but are worried about the costs and how to go about setting up a new server to host your IT systems on? We know that when it comes to replacing your own office computers it can be a costly affair, with many things to consider. Take all the worry, hassle and expense out of the equation with one simple monthly payment from only £150.00. We’ll take care of the hardware, the power, bandwidth, cooling, security plus you’ll have 24/7 support available when you need it most. When we say you no longer have to struggle with an underperforming IT system and that you can also save money, we really mean it and from only £150.00/pm we can boost your IT in no time. Sound good? Our new 16 Core Dedicated Servers are packaged in such a way to deliver the very best IT solutions as well as the best value for money. Major noticeable performance benefits can be recognised from the outset and you will see an immediate increase in performance with a 16 Core Server from Netcetera. For over 20 years, Netcetera has been helping businesses like yours get the best value for money on Dedicated Servers. When you choose a high spec dedicated server from Netcetera we’ll ensure your new server will deliver exactly what you need to keep your business running 24/7. No hidden costs, just everything you need in simple monthly payments, a server designed to deliver all of your needs and maintained by a business that has been trusted for over 21 years to deliver exceptional service. Starting from as little as £150.00/pm there’s no need to spend thousands of pounds upgrading your old servers. Simply sign up today for your new Dedicated Server and join the thousands of clients from around the world who are already enjoying the benefits of hosting with Netcetera. With Free advice and a friendly team of experts available to talk you through the process why not check out how we can save you money and improve the way your IT performs today.